In a shocking incident, a man beheaded his daughter-in-law for defying 'Rajput traditions'. The woman--Uma Rajput, was hacked to death by her father-in-law, as she 'dared to go out for work'. 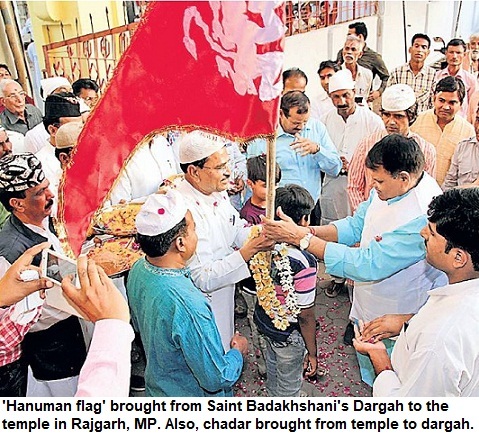 In a patriarchal society, this had brought 'dishonour to his family', felt the accused. He publicly killed his daughter-in-law, by attacking her with a sword. The incident took place in Alwar in Rajasthan. 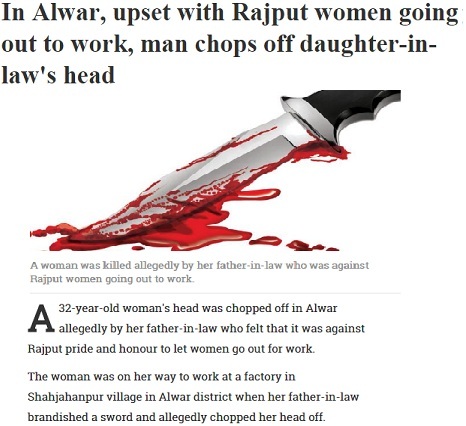 India Today reports, "The woman was on her way to work at a factory in Shahjahanpur village in Alwar district when her father-in-law brandished a sword and allegedly chopped her head off." "As the woman was attacked, none of the passersby came forward to help her. She died on the spot. Subsequently, police took her body to the mortuary of the local hospital. The victim, identified as Uma, is survived by her husband Mukesh Rajput and two children", India Today further reports. "Both Uma and Mukesh worked to run the family and provide for the education of their two children. When questioned, family members and neighbours of the woman said that her father-in-law Maamraj was upset with her for working in a factory", the report adds.